*I received this product in exchange for my honest review. This is one of the Darling Diva polishes I received in Vegas at the Cocktails & Colors party. This color was a Vegas exclusive, so I don't think it will be available to the public, but I wanted to share it with you anyways. I do hope this one might become available because it's pretty awesome. 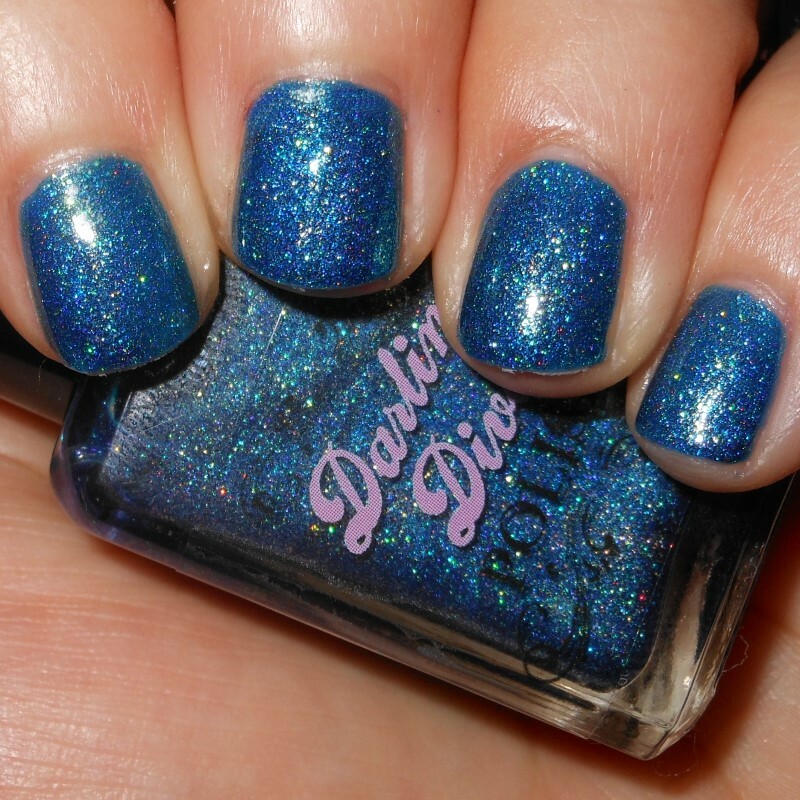 Skinny Dipping At The Bellagio is a jewel-toned medium blue-green with holo glitter and other magical shimmers. Color: I didn't have a color description for this so I'm not really sure what is in it exactly, hence the "other magical shimmers". What I love about this is the richness of the shade. I love that it's actually more blue than green. There are so many teal and aqua holos that definitely veer into green territory. This one is mostly blue. I also love the intensity of the sparkle. Formula: This had an excellent and easy to apply formula. I used 2 coats here. Overall: This is stunning color. 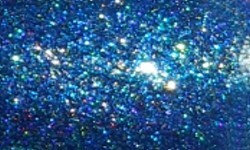 I love how pigmented and saturated the color is and the intensity of the sparkle holo features. Stunning!